Andrea Richardson, Co-founder of Secret Hamper, talks SHARP through building a business based on kindness. For 25 years my husband worked in the heart of London, leaving the house at 5am every day and often not returning home until after 8pm. Not such a big deal when we were just married but when our babies arrived it was less than ideal. We took a couple of months out. We spent some very well deserved time as a proper family – we’d never had the luxury of all having breakfast together or eating dinner as a family in the evenings. We got involved with some voluntary work in our community, just to meet the people that had been our neighbours for so long, but we had never really had the chance to pass more than the time of day with them. It really brought a new meaning to life. We truly realised what we had been missing out on. It was our elderly neighbour that was the pivotal point for us. Having spent some time with him, we realised just how lonely he was and that we could make a difference. Having seen the Christmas Co-op advert on television and with our neighbour in the forefront of his mind, my lovely husband disappeared off to Tesco for a few groceries for us and returned what felt like days later! It transpired that he had done his very own supermarket sweep and loaded a box full of goodies for our neighbour and dropped it to his front doorstep, knocking and promptly running. To this day our neighbour has no idea that Nigel left him that shopping, nor does he have any idea how grateful we are to him, as he was our inspiration. He and the many others like him became our focus. We could make a difference and that’s exactly what we set out to do. Secret Hamper was born from the desire to help others and so we launched the business in the summer of 2016. The initial concept was to deliver a box of essential items to family and friends, however the business has since evolved and many more innovative products are in the pipeline. New Baby hampers – containing products from our new supplier, Kit & Kin. These hampers are aimed to make those first few weeks a little easier and some extra treats for mum! Teddy Tastic hampers – aimed at children that may be in hospital or are recuperating. Student hampers – a box full of essentials possibly from superhero Mum & Dad or Granny & Grandpa. Friend in Need/Elderly neighbour- a slight variation on both but a box full of goodies to let someone know that you’re thinking of them. 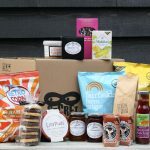 Essex Hamper – locally sourced products supporting up to 15 local producers. We would like to extend this to other counties around the UK and thereby help some of the smaller producers get noticed that otherwise may never make it to the supermarket shelves. Care Home hamper – full of cake and biscuits with the option to be tailored for an individual or group of people. You can also choose to add a nostalgic cd which has proven benefits for someone that may be suffering with dementia. Four Legged Friend hamper – for cat and dog lovers that may wish to support their local rescue centre in a different way. Seasonal Hampers – Christmas, Easter, Valentines, Mother’s Day, Father’s Day. Bespoke corporate hampers with a white label option, great for employee and client gifts but can also be adapted to compliment a company’s CSR. Concierge service for high-end clients. It’s our aim to become the home of random acts of kindness. The exciting part is that the business can work on so many different levels, we’re not just in the business of delivering hampers, we are in the business of creating memories, special moments and Superheroes. When you visit Secret Hamper we take you on a journey, the hamper is a tool to create the experience. Sadly, we live in a chaotic world where there’s lots of people that suffer in silence or maybe some people just need a lift or a sign of appreciation, that’s where we step in. Since our launch we have sent out hundreds of hampers to people across the country. Supporting good causes and charities is at the heart of what Secret Hamper do. We have worked with and supported Brainwave, Hellen Rollason, Age UK, Danaher RSPCA centre, The Royal Manchester Children’s Hospital and Farleigh Hospice to name but a few. 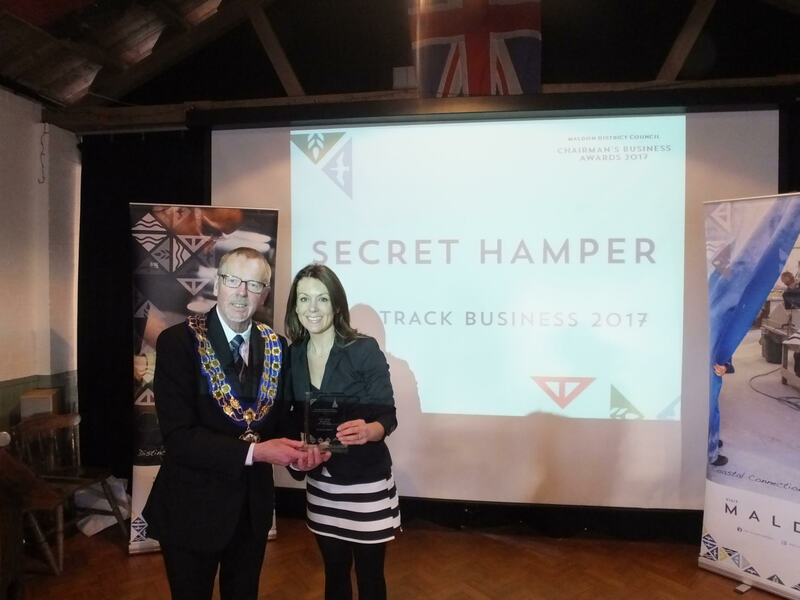 Secret Hamper has been involved in the Farleigh Hospice £50 challenge coming out as the top fundraiser two years in a row raising over £10,000. We couldn’t have done this without the support of other local businesses who ‘sponsored’ an ad space on the ‘Hampervan’ our company branded van. In return we have helped over 200 businesses use this fundraising exercise to tell their own story via their social media channels. Our ethos is to have a positive impact on someone’s life by performing a random act of kindness, so therefore it’s very important for us to follow this through and be proactive with charities and good causes. As the company grows we will set aside a percentage of our monthly profits to be donated to charities and good causes. We recently ran a survey and 80% of people said that it was really important to them to perform a random act of kindness. There is undoubtedly a need for our service in the marketplace. Since we started out the business has received backing and endorsements from a number of famous faces including business magnate Theo Paphitis, Star Wars star Mark Hamill and chef Rick Stein. We’ve been really fortunate to meet lots of celebs over the last 18 months and can honestly say that everyone has been really accommodating and kind in their own way. We’re sure it’s only a matter of time until we get Sir Richard Branson wearing one of our green Superhero masks, who knows we may be able to get him to wear one whilst we pitch! Our Voom pitch is soon to go live. We’ve had some amazing things happen in the short time we have been trading, so it is hard to choose what we’re most proud about. Watching someone with dementia get up out of their chair and start dancing in a care home that we delivered a Secret Hamper to, that’s pretty special. Assisting a businessman with the help of 27 other businesses, surprise a team of 40 doctors and nurses at a local hospital NeoNatal unit was special too. Imagine that happening all over the UK?! We have been nominated for several awards and this makes us feel very proud and gives us a real sense of achievement. We have been awarded the Maldon District Council Chairman’s Fast Track of the Year award, been a finalist in the FSB Start Up of the year for the East of England category and recently shortlisted for the Heart of Gold Award. Being part of the Theo Paphitis #SBS was amazing, that was pretty much at the start of our journey, which led to Theo buying a batch of our hampers and sending them to a children’s hospice on Valentines Day – it just goes to show anyone can embrace their inner superhero, no matter who you are. In December 2016 we produced a parody Christmas advert inspired by the likes of John Lewis, Aldi and Amazon. Whilst in November 2017 we were invited to 10 Downing Street as part of Small Business Saturday. Sadly on this occasion it was just Nigel that got to attend the event as my role as mummy has to come first and we can’t both always be everywhere all of the time. But none the less it was a pretty special occasion for us as a business and as a family. But best of all for us, we love seeing our children get involved in the business. We believe we are truly teaching them real kindness from an early age and to us that’s so very important. Our eldest daughter Gracie, has attended a few events now with her daddy, whilst myself and the two little ones (Isla is 5 and Harry is 3) have stayed at home. It’s great to see her confidence and people skills grow, that makes us super proud. We are pretty sure her younger siblings will be keen to get up there with her once they are a little bit bigger. We aim to refine the current offering, by buying local as much as we can, using artisan producers, introducing more ethical product lines, looking at adding a subscription model to our Student Hamper range and most excitingly launch a digital version of Secret Hamper, Secret eHamper. We have a large list of preferred partners where individuals or companies can send an e-voucher as a random act of kindness to a recipient at the touch of a button. This could see a disruption in the gifting market, imagine being able to complete the full gifting circle experience, involving the sender as much as the recipient, we don’t want to give too much away at the mo, but, it promises to be a truly amazing giving experience.